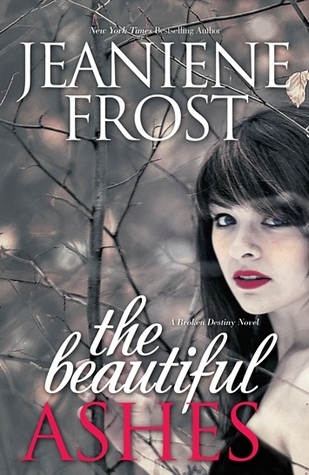 Let me start by saying that Jeaniene Frost is the author of one of my all-time favorite paranormal series (The Night Huntress Series). The characters of that series are funny, engaging and three dimensional. Even if you hate the character you still love to hate them and that character comes alive in the written word… That being said this first book in this new, New Adult series is NOT the Night Huntress Series. It’s not a spin off, you will not be seeing any of the characters of the Night Huntress World and sadly this book does not live up to the Night Huntress legacy. It has to be hard to create a new series when you have such a strong following for another series, but many other authors have done it successfully. The characters in this book are not memorable, they don’t come alive on the page and hell they aren’t even all that likeable. I was meh on both Adrian and Ivy, neither one was all that engaging. They were back and forth, back and forth, blah blah blah. Was over it before it began. The world and the plot could have been interesting but I think the characters get in the way of it. Sad, really. This is set up to be an urban fantasy series but I don’t think I’ll be following it, I just don’t have any interest and I’m definitely not invested in it. I’m really sad about that because I do so enjoy Jeaniene Frost and really hope she goes back to what she is good at, funny, sarcastic character with interesting, engaging plots with lots of action!